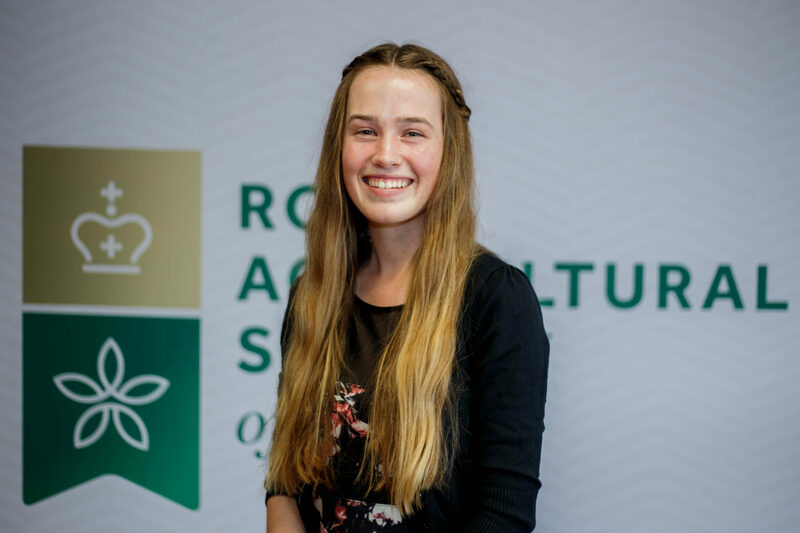 The Royal Agricultural Society of Western Australia announced Lauren Rayner as the recipient for the 2018 Bendat Family Youth Scholarship, awarded to a youth in Western Australia who is enrolled into a bachelor level course at an Australian University in an agricultural related discipline. Residing in the farming area of Brookton and attending the agricultural college of Narrogin, Lauren has always been passionate about agriculture. “Agriculture brings people together from all over the world with different ideas, practice and specialties”, mentioned Miss Rayner. Lauren is using her scholarship to continue her studies at Murdoch university studying animal science and crop and pastoral science, hoping to become an agronomist or wool agent. The Royal Agricultural Society Foundation has been created to give educational and community funds to young people in agriculture providing them the ability to be able to continue their agricultural studies. Paul Carter, RASWA President, believes scholarships are a great opportunity to encourage young people to study and work in agriculture. “Lauren is a great member of the Agricultural Industry of Western Australia and we are excited she is the recipient of this year’s scholarship. We look forward to her participating in RASWA events in the lead up to this year’s Perth Royal Show” Mr Carter said.